When you go away for a tropical getaway, there’s no end to the list of ways that you can fit in fun physical activity. You’ve got beach volleyball, snorkeling, kayaking…the list goes on. At one point or another, I’ve tried them all. Heck, the stand-up paddleboard (SUP) trend even had me doing yoga inversions on a board in the middle of the ocean. (OK, they were pretty horrible inversions, but still, I did them.) And SCUBA diving? I got certified several years back and now make it a priority to go diving each and every time I visit someplace with open water. 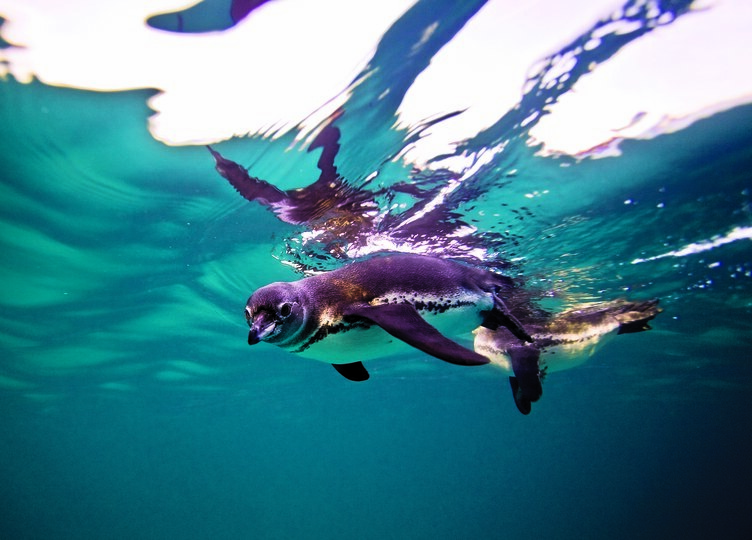 But it wasn’t until a recent trip to the Galápagos Islands with Lindblad Expeditions and National Geographic that I considered freediving—a form of deep-water diving where you simply hold your breath. In all honesty, when I first tried freediving, I didn’t even know it had a name. 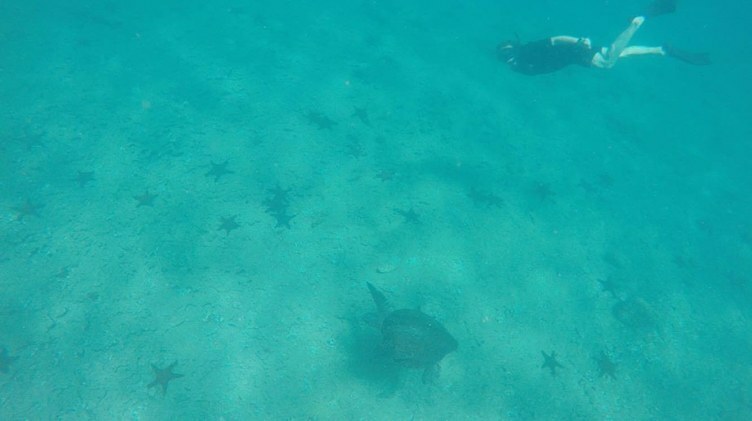 I was snorkeling with an underwater photographer, and when he dove down to get up close and personal with the sea turtles, manta rays, and even sharks that were just 20 or so feet below us, you bet your wetsuit that I was diving down after him to see what there was to see. By the time I made it back up to the surface, I knew two things for sure. First, that what I just saw was awesome. And second, that I was out of breath and every muscle in my body was exhausted. Apparently, our bodies are built for freediving and have a handful of mechanisms that kick in to help us do it. 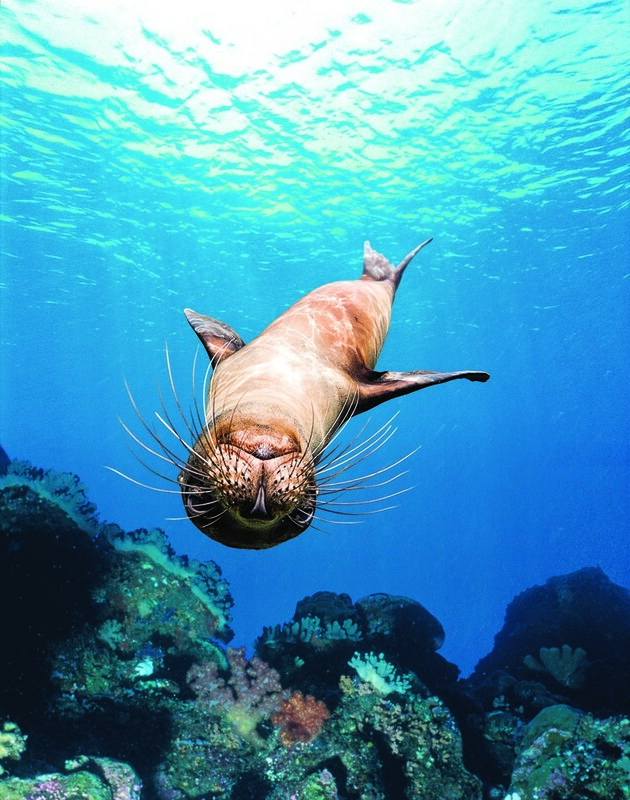 For one, like seals and other water-loving mammals, humans experience a decrease in heart rate the second we dive into the water, Patrician Alexander, M.Sc., a researcher at Mid Sweden University who has studied the physical effects of freediving, tells SELF. This allows the body to conserve oxygen when it’s scarce. What’s more, blood reroutes away from the arms and legs and toward the heart, lungs, and brain to keep the high-priority organs working at top speed, he says. The blood around the lungs also works to protect the lungs from increasing water pressures as you go deeper and deeper. While most recreational freedivers swim 30 to 55 feet underwater, elites can go as deep as 130 feet (!!!). And how’s this for trippy: As you descend, your lung volume actually decreases as the air within them compresses. As you swim back up to the surface, they expand back to their previous volume. Changes in air pressure also make your inner ears feel “full,” kind of like when you’re on an airplane, Alexander says. “Even with basic training, we have a pretty remarkable ability to dive underwater,” he says. After all, we’re built for it. Freediving is more than just awe-inducing—it’s actually a great way to challenge and tune into your body. No matter how naturally freediving comes to us homo sapiens, that’s not to say it won’t push you. Swimming in general is a great workout, and when you add the currents that open waters provide, well, you can expect every muscle to be sore the next day. What’s more, if you decide to wear a wetsuit while freediving, which allows you to float at the surface of the water without too much effort (handy if you’re also snorkeling, or just in cold waters! ), swimming down to depths will be an act of resistance training. But perhaps the greatest physical benefit of freediving is that it gets you practicing deep, diaphragmatic breathing. To hold your breath for any length of time, you need to first take a big, deep breath, Farrell explains. That means relaxing the diaphragm to allow the lungs to fill more fully. Diaphragmatic breathing enables you take in more oxygen, and increases vital capacity, the amount of air that we can take in and expel in a single breath. “This impacts all aspects of life and has huge associated benefits for all other sports,” says Farrell, who has worked with multiple U.K. Olympic ­­­­athletes across a wide range of sports to help increase their lung function and performance. What’s more, diaphragmatic breathing also calms the body and mind and lowers the heart rate, Farrell says. Recent research in the journal Frontiers in Psychology found that deep, diaphragmatic breathing lowers levels of the stress hormone cortisol in the body to improve mood, and it also improves mental function and your ability to focus. To Farrell, this “tuning into your body part” is important for improving confidence and self-esteem. 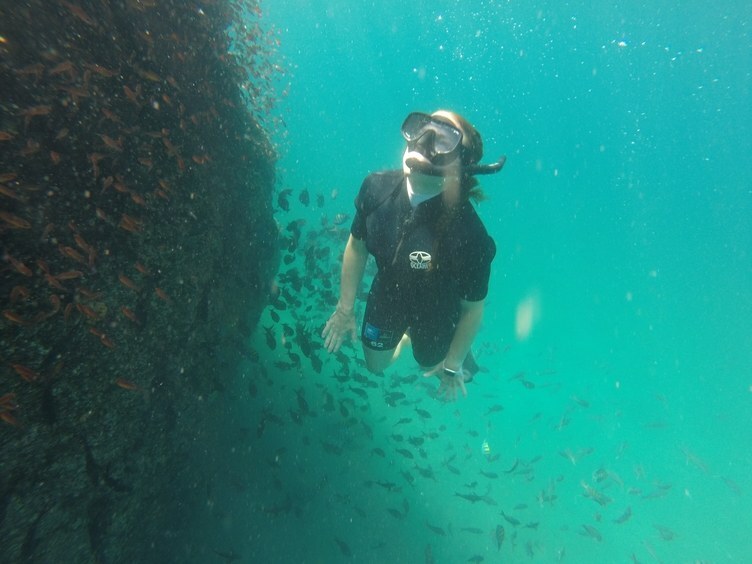 “Learning to freedive takes any limitations we may feel about ourselves and blows them out of the water,” she says. “When you learn to hold your breath and dive to depth, you realize just what you are capable of, and how the barriers we feel are mostly self-created and self-imposed. Before diving in, always make sure you’re doing it safely. Like in all sports (especially underwater ones), staying safe when freediving is priority number one. “One of the most crucial considerations is to always dive with a buddy and be watchful of one another,” says Alexander, noting that in rare cases, freedivers can black out from too-low levels of oxygen to the brain. And, just like when snorkeling and SCUBA diving, it’s important to safely manage current, marine life, and boat traffic. Learning to equalize the pressure in the inner ear (again, like on an airplane) is important so that you don’t rupture the ear drum. These are all things that a qualified freediving school and certified instructors can teach you. “The courses are great first exposure because they allow anyone to get the most out of the experience and in a safe learning environment,” Alexander explains. Check out PADI to learn about courses and find freediving centers wherever your next vacation takes you.